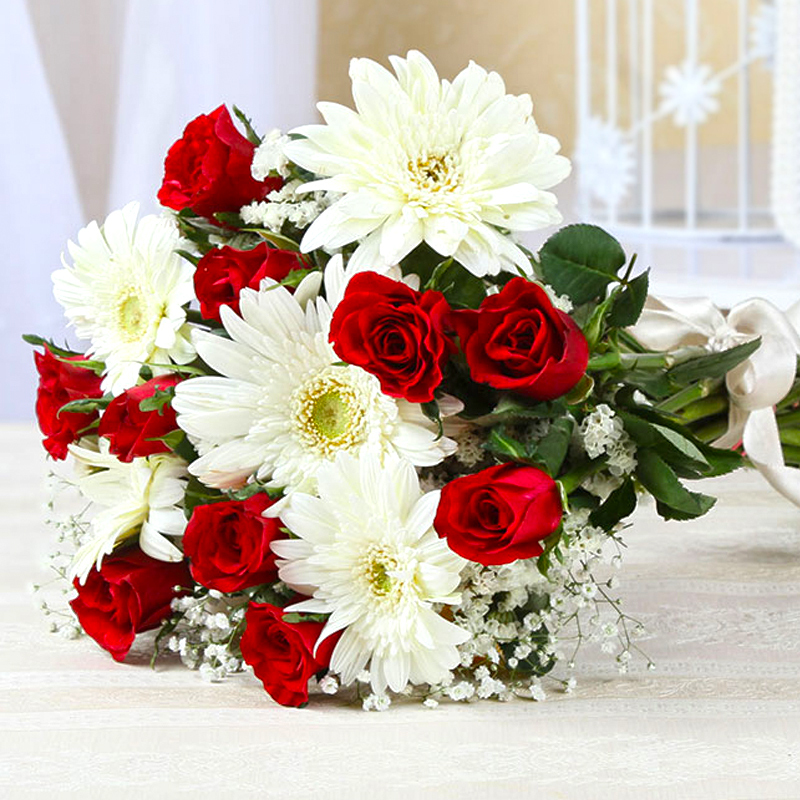 Product Consists: Bunch of 15 Mix flowers like Red Roses, White Gerberas with lots of green fillers. 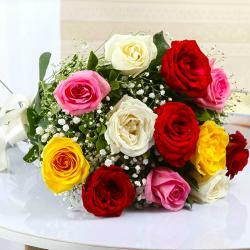 Gifting flowers to anyone is a great thing as flowers have the capacity to make anyone delighted from the core. 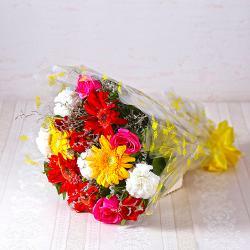 It is the best gift for any special occasion like Birthday, Anniversary, Sorry, Onam, Parents Day etc. The flower bouquet that we have here is a red roses and white gerberas in a cellophane paper wrapping. It looks more than amazing and will definitely be liked by anyone gifted this with. 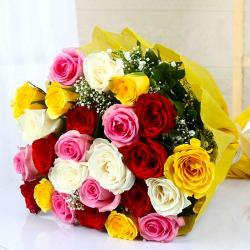 So place an order for it and we will deliver this straight to the doorsteps of your dear ones. 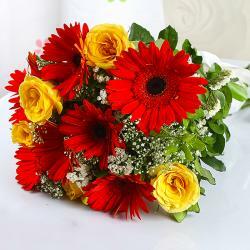 Product contains : Bouquet of 15 Mix flowers like Red Roses, White Gerberas with lots of green fillers.